Africa has come a long way since the hunting trips of the early 20th century. It is no longer a hunting ground for wealthy aristocrats. Today African Safaris offer more adventure and romance than ever – and there is something for everyone. African safaris are designed to maximise game viewing, bird watching, and sometimes fishing opportunities. As far as thrills go, there is nothing quite like the Serengeti wildebeest migration. The thunderous sound that fills the air as the hooves of a million wildebeest pound the ground is unforgettable. As they make their way across the Mara River in a breathless rush, opportunistic crocodiles hang around; hoping for a feast. That is not all. While you are in East Africa you can enjoy the thrill of conquering Mount Killimnjaro. Kilimanjaro is the highest mountain in Africa and therefore a worthy challenge for any visitor. The changes in climate and scenery as you gain altitude are dramatic. For Ice Mountain climbing, the Natal Drakensberg in South Africa is wonderful. Zimbabwe’s Victoria Falls attracts thrill seekers from around the world. The majestic waterfall drops 108 meters and no one in the vicinity is safe from the spray. 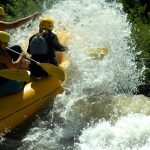 The Zambezi river in Zambia is one of the top five white water rafting destinations in the world. 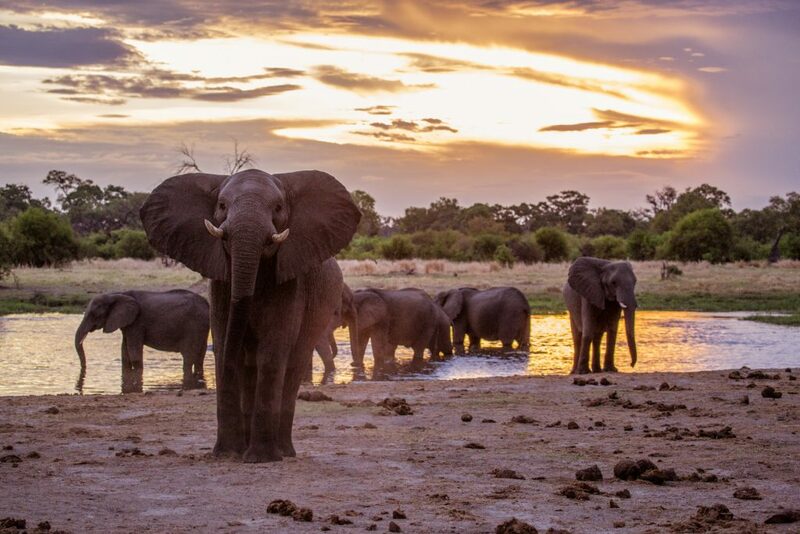 Mikuni, Zambia is the perfect place for anyone who fancies taking a walk with rhinos or lions or riding an elephant. Namibia’s Swakopmund sand dunes are awe inducing and beautiful. They are not just good to look at, they are also perfect for sand boarding. There are three deserts in Africa: Namib desert, Sahara Desert and Kalahari Desert. Kidepo National Park is the place to be if you want to see beautiful landscapes punctuated by large herds of buffalo. Not many people go there so one can enjoy solitude. The savanna landscapes of Kenya and Tanzania are ideal for game drives. Uganda and Rwanda have a hilly terrain with tropical rainforests. Tiny Rwanda makes up for its small size with its beauty. The hills in the country side are evergreen and the city of Kigali is famed for its cleanliness and charm. Tanzania’s Ngorongoro crater has earned the nickname ‘garden of Eden’ for its rich grasslands that sustain more than twenty-five thousand animals. Large herds of wildebeest roam alongside zebra, leopard, black rhino, and gazelle; not to mention the lions. It is not always necessary to leave the city behind to go on safari. The Nairobi National Park is so close to the city that you can wake up in your hotel room in the central business district and be in a wilderness safari within twenty minutes. Livingstone city in Zambia offers more adventure than any other city in Southern Africa. Whether you are into jumping off bridges, bungee jumping, white water rafting, or abseiling you are in for a treat. The Zambezi valley is also a superb experience for someone who is looking for a wilderness that is unspoiled by modern civilisation. Perhaps the only match for it is Ruaha National Park in Tanzania. If you want to get up close and personal with the big five, it does not get much better than an Immobilisation Safari in South Africa. These are Vet safaris where you get a unique opportunity to help a vet with their job of attending to animals in the wild. The big five are found in Kenya, South Africa, Zimbabwe, Zambia and Tanzania. Zambia’s annual bat migration might not get as much hype as the wildebeest migration of the Serengeti-Mara ecosystem, but it is nonetheless spectacular. The event takes place towards the end of the year. The participants are 10 million bats that land on the forests of Katanga National Park. There are several countries where you can see all the big five: lions, leopard, rhino, elephant, and buffalo. Majestic mountain gorillas are found in Uganda and Rwanda. In Botswana’s Kalahari Game reserve, one can observe the Kalahari lions, who have adapted to living in the tough desert environment. Botswana’s lions are unique; they are the only ones who hunt during the day. In Madagascar, visitors can view unique creatures like the giant lemur. These are not found anywhere else in Africa. In the African wilderness, animals live alongside the indigenous people who have coexisted with them for thousands of years. In Kenya’s Maasai Mara, Maasai herdsmen drive their livestock like they always have. In Botswana, bushmen still eke out a living in the desert; somehow managing to sustain their families with what little the dry land can offer.